Andrea left her old school to find work, but soon discovered that she needed a diploma to get the jobs she was looking for. 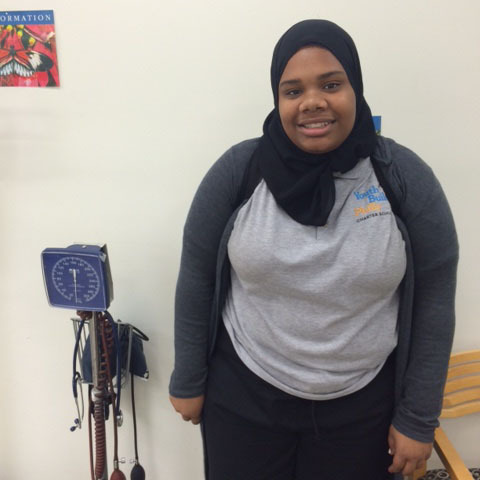 Her cousin, a YouthBuild graduate, suggested she apply to YouthBuild. Aw Drea, I’m glad I told you all about Youthbuild & I’m glad that you doing a wonderful job in school, Yb is the best school ever.